This traditional Bushshirt is a perfect example of the iconic and durable nature of the Swanndri clothing range. It is made from 100% wool, at 475 gsm, it is a heavyweight garment that will keep you warm in all outdoor environments. It has a wool-rich lining and is deliberately over sized to ensure you have space to wear up to three of your favourite garments underneath. 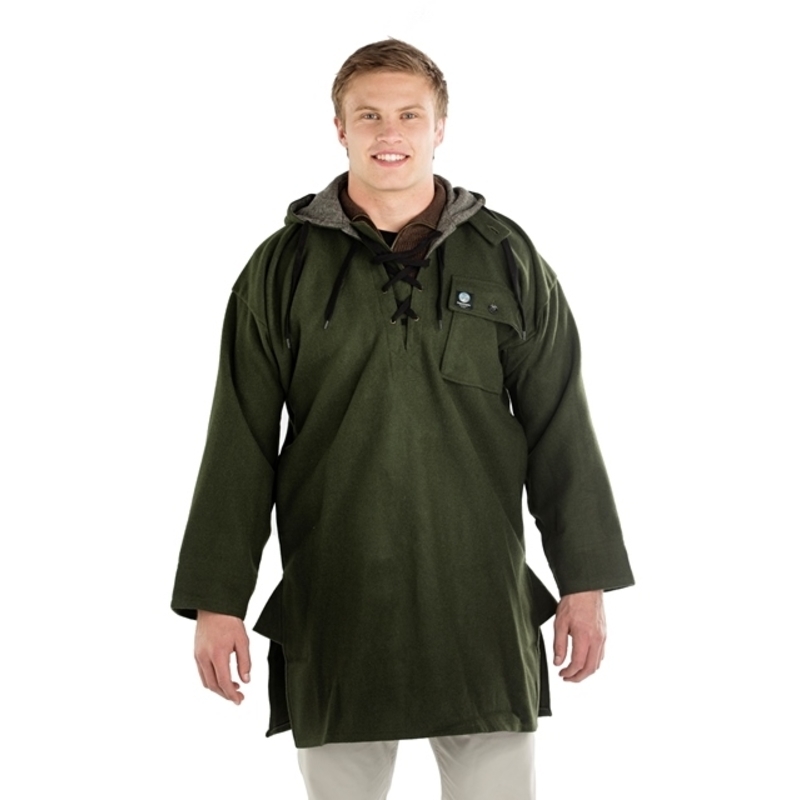 To further guarantee you are protected from all the elements it is extra long for warmth and comfort and has been waterproofed using the legendary secret Swanndri method which has been used for 103 years! Swanndri has a great reputation for quality fabric and design - it won't let you down. We have provided you with two measurement options to help you make the right size choice. If you know the size of your chest, view the "Men's Chest Size" table. If you know the chest measurement of an exist garment, you can view the "Bushshirt Chest Size" table and compare measurements. Size tip - Swanndri BUSHSHIRTS ARE OVERSIZED to allow up to three layers underneath, please take this into consideration when choosing your size. For the most accurate size choice, compare the "Bushshirt Chest Size" to something you currently wear. Please remember the "Bushshirt Chest Size" measurement is done by laying the garment down flat and measuring from one armpit to the other (2cm down from the armpit seam).